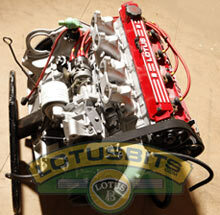 Gas flowed and CNC machined, new valve guides, valve seats cut to match Lotusbits designed waisted valves. Vaqua blasted, skimmed, matched manifold, supplied ready to fit - £1400 (exchange). Chamber volumes can be adjusted to suit from 32cc to 42cc. 2.2 Ultralight pistons and conrods, lightweight, smaller pins, longer rod length - this improves conrod angularity allowing the engine to rev higher. 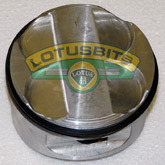 Safe for 8500rpm. Compression ratio from 10:9 to 12.5:1, dependant upon chamber volume - £1300. 2.0 pistons and conrod set, lightweight, smaller pins, longer rod length - this improves conrod angularity allowing the engine to rev higher. Compression ratio upto:11.8:1 - £1300. 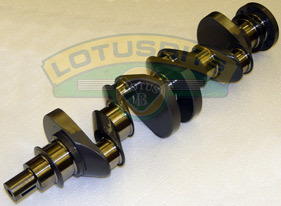 Initially use the Lotus parts bin to upgrade to the Lotus 912 HC spec (180bhp). Custom 2.5 Litre steel crank and rods.